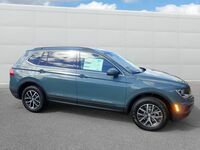 If you’re searching for a vehicle that delivers amazing power and great utility, look no further than the 2018 Volkswagen Tiguan! 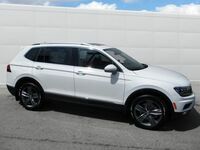 This exceptional Volkswagen vehicle has a ton of amazing features and systems, all of which are perfect for delivering a driving experience unlike any other! However, this great vehicle isn’t without its competition! The 2018 Kia Sportage is a strong competitor, offering a ton of great features and systems. It can be hard to pick between these two vehicles, especially if you’re not a vehicle expert. Thankfully, we at Dirito Brothers Volkswagen are vehicle experts! We know how to compare vehicles and their features to find the best deal. Look below to see how these two vehicles compare head-to-head! As you can see from the table above, the 2018 Volkswagen Tiguan and the 2018 Kia Sportage have many features that are similar and common. However, the 2018 Kia Sportage is cheaper, about $1,300 cheaper than the 2018 Volkswagen Tiguan, making it a good choice for money-conscious drivers. 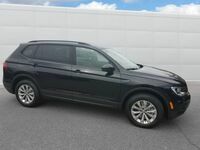 The 2018 Volkswagen Tiguan, however, offers greater horsepower than its competitor, a greater overall seating capacity, and a better base cargo space than the new Kia Sportage. 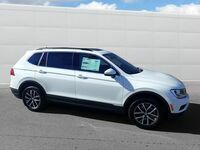 These various features and systems, the edge in terms of power, seating and cargo space, make the 2018 Volkswagen Tiguan a better deal overall than the 2018 Kia Sportage, even considering its slightly greater cost. 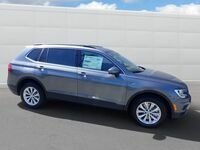 So, if you’re searching for a vehicle that offers a ton of utility, power, space, and more, look no further than the 2018 Volkswagen Tiguan! 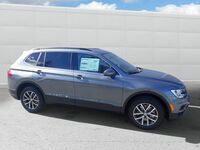 Contact us at Dirito Brothers Volkswagen today to learn more about what this great vehicle has to offer!